The Church of St Swithun was founded in1258 by Roger, Archbishop of York. It is a large church occupying a position close to the town's marketplace. 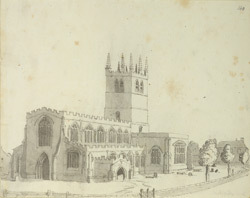 The church underwent major reconstruction after the tower collapsed in 1651. Further modernisation work was carried out during the mid-19th century.